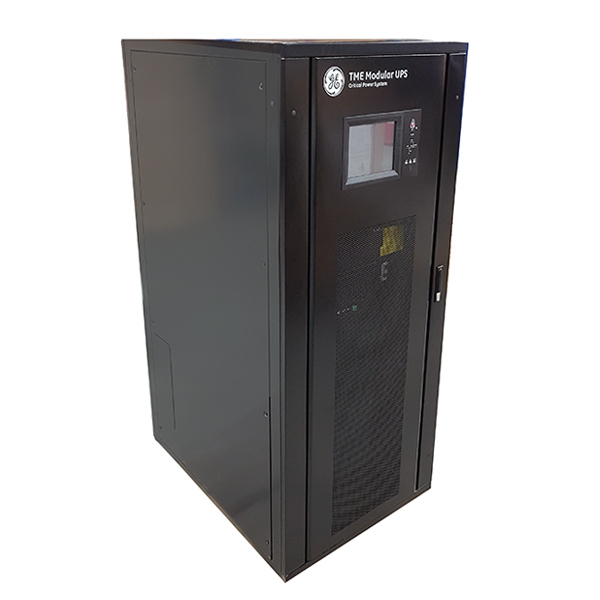 The GE TME Modular Series, 15 – 90kW, 208V/220V, UPS is one of the most reliable three-phase UPS modular systems on the market. It is designed for N+X redundancy. The TME Series offers high power density in a compact footprint. The TME series is a modular design to allow flexibility and scalability (up to 270kW) for any application. The highly efficient GE TME Series, with unity output power factor, allows you to maintain a high level of protection to critical loads while minimizing input current distortion and consequently, which reduces operational costs and environmental impact. This makes the TME Series a perfect choice for environmental-friendly solutions. For more in-depth specifications, see the data sheet.